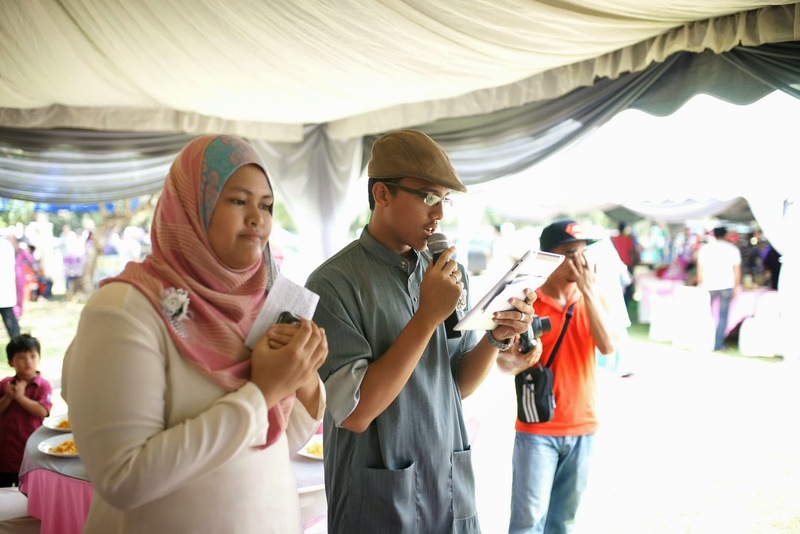 Married : the Emcees | escaped. Probably the least thing I worried about, when it comes to my wedding. Why? 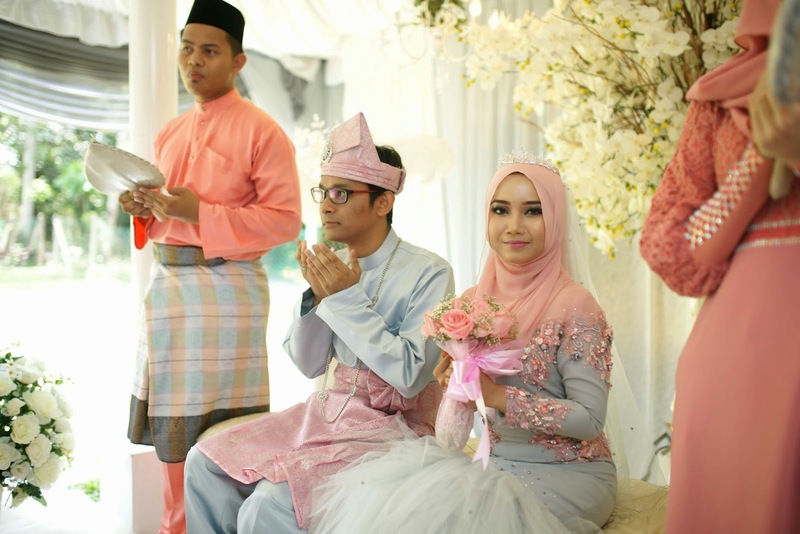 Because I had decided that I wanted none - no DJs, no karaoke, just plain old Islamic, selawat or selamat pengantin baru songs. Even so, I asked Mum to not choose any songs unless I've proofread the list first. Until a few days before the event, we had some relatives helping out the house, including my cousins. One of them, a cousin 2 years younger, talked to me about the emcees. "Why won't you have emcees?? Who's going to usher the guests and relatives to do the salam thing at the pelamin?" Honestly, I hadn't thought of that - I figured someone in charge (in my head, it was Mum but I realized she'd be busy at the guest reception point at the front) would do the task. "And who would ask the guys to recite the doa? Do you have someone to recite doa yet?" So after being brainwashed, I figured might as well hire someone who'd be willing to be a bidan terjun emcee for me. 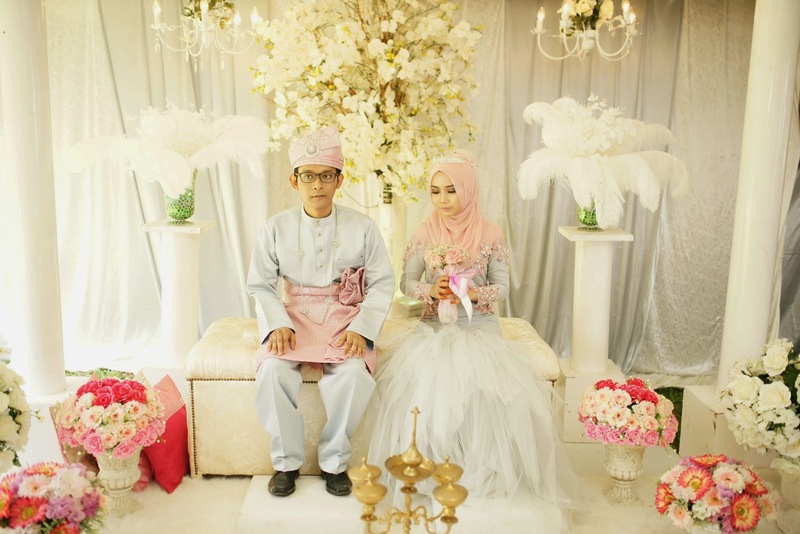 Hiring a professional emcee was not my type - if I were to have emcee talking at my wedding, it might as well be someone in the family who I'm very close to, because I wanted the event to be very personal. The cousin was the perfect candidate. She was the one who got the ball rolling anyway! So, she agreed. 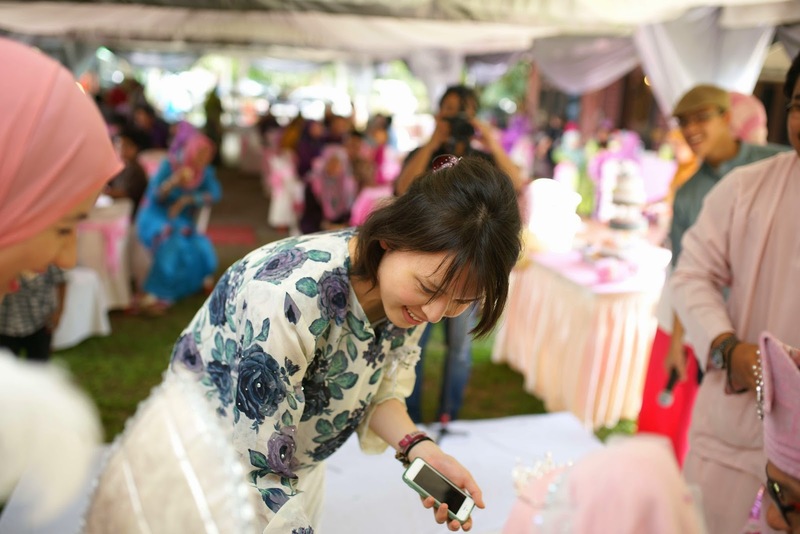 She gladly took the task (she's been involved in her friends' weddings quite often - she did a friend's wedding photobooth by herself once) and started drafting a script for the wedding. Since it was a last minute decision, we had to sort out microphones, speakers and agenda in a time span 2 days prior to the event. Luckily everything was in order; we had the PA ready, doa recital by one of my cousins who's a pro at these things (he attends an Iqra' private school) and my brother was ready for anything just in case. I'd rather put my trust on these youngsters because I know they'd know what they have to do - and even if they did anything wrong, I honestly won't think much of it because it's not supposed to be an uptight event, to me. It's supposed to be fun! Considering how I almost had no one to narrate during the event, I'm so lucky I have helpful cousins who'd jump in and take the task within a short period of time. Makes me realized how important it is to double check your preparation, even though you're confident you're fully prepared. Lesson learnt.